Tonight US TV network FOX sees the long awaited return of the science fiction phenomenon The X-Files created by Chris Carter and starring possibly the worlds most famous Special Agents from the Federal Bureau of Investigation; Fox Mulder and Dana Scully, portrayed by David Duchovny and Gillian Anderson (pictured below). 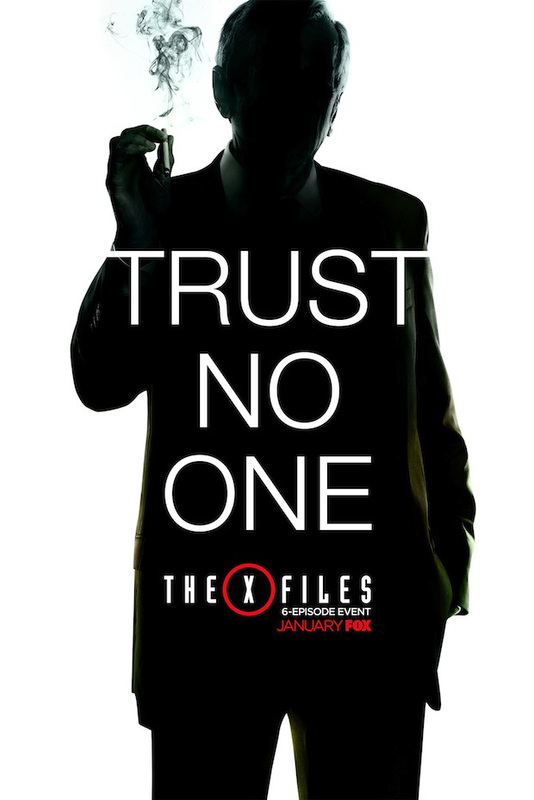 The tenth televised series sees Agents Mulder and Scullreturn to the small screen that made them household names worldwide among millions of fans. Composed of six episodes this "revival" season will both explore the shows grand mythology while also delivering weekly chills with the shows famous "monster of the week" episodes, one of which promises to take itself less seriously than the others, as was the shows tradition during its highly popular nine season run which ran from 1993 - 2002. UK viewers will have to wait for the show to air in early February on terrestrial station Channel 5. 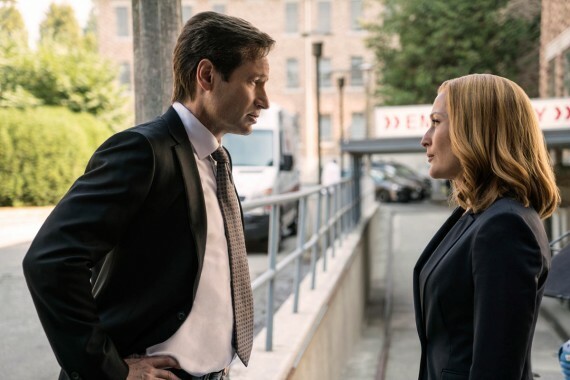 SPINOFF ONLINE: Chris, given the genre and the current state of fandom, “X-Files” in many ways feels like it’s fits in on TV more now than it did originally. Do you see a little bit of that? Chris Carter:"I do. The ’90s, it was still sort of a residual mistrust of government that came from the Watergate era; from when I was a teenager. But now, we see a tremendous amount of distrust for government, institutions, the media, across the board. People are very suspicious of the people who are in charge." SO: Just looking at audiences, “X-Files” paved the way in having a dedicated online fanbase discussing and dissecting the episodes when that type of thing was just beginning to happen. Now, that’s how people consume so many shows — do you see “X-Files” as a pioneer in how people view TV? CC:"It’s always weird to think of yourself as a “pioneer.” I don’t think of myself as a pioneer. Everyone who does a TV show builds on what came before. I think people are just building on our success, maybe what we did well. But we really built on what came before us." SO: Obviously it’s exciting to see Mulder, Scully and the other returning players, but this miniseries introduces new characters, like the ones played by Joel McHale, Lauren Ambrose (pictured below right) and Robbie Amell (pictured below left). How important was it to add new characters, and continue to popular and enrich this world, rather than relying on just the familiar material? CC:"We wanted to do a show that’s familiar to the fans in so many ways. The look of the show, the tone of the show, obviously Mulder and Scully — I wouldn’t have done it if David and Gillian weren’t coming back . We wanted to bring in the familiar cast that surrounds them; Mitch [Pileggi] and William B. Davis (pictured bottom), Annabeth Gish is back. But this is a new series. We wanted to liven it up, and we wanted to add some spice to it. 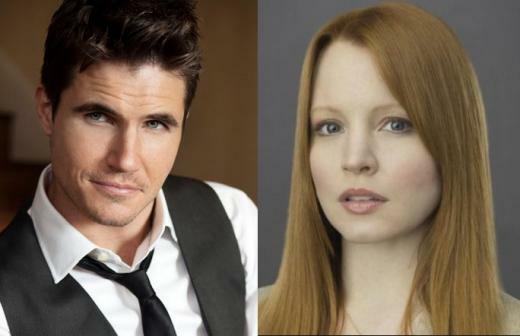 We have what could be considered a young Mulder and Scully on this show, Robbie Amell and Lauren Ambrose. I think that’s an interesting spin and twist, and they play important roles all the way to the end." 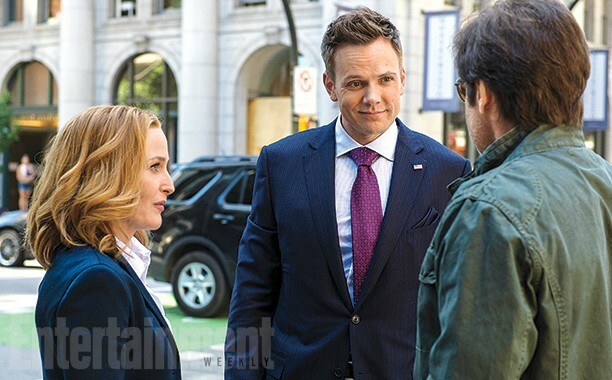 SO: Let’s talk about the character Joel McHale (pictured below) is playing — he’s someone who has a lot of fans from comedic material, and not that “X-Files” doesn’t have lighter moments, but it’s different to see him in this context. What can you say about how he fit in, and what he brought to the miniseries? CC:"He ended up being the perfect casting. I cast him off of basically a roast he did at the White House Correspondents’ Dinner, where he basically roasted the president, among others. He was terrific. I thought he’d be a great Alex Jones, Glenn Beck sort of character — these people who now, if you are at all searching conspiracy sites on the Internet, you find them at the top of their game." SO: Clearly it’s a big deal that the show is coming back with new episodes, but in some ways, it never went away — between thing like the 2008 movie, the comic book series, it’s been kept alive in different ways. How gratifying and surprising is it for you to see the afterlife the show has had in the past 14 years? CC:"The whole thing’s amazing and surreal to me, that I’m standing here talking to you 23 years — for me it’s 24 years — later. It’s spanned three decades of my life. The show, as I tell people, it’s still got a lot of life in it. There are a lot of “X-Files” story to tell. This puts us on the map in a whole new way." SO: You mentioned Annabeth Gish returning — was there consideration for Robert Patrick, also from the final two seasons, to reprise his role? CC:"I checked into Robert Patrick early on, and found that he was unavailable because he’s on “Scorpion.” We would have loved to have had him back. I think he’s the one person we tried to get and were unable to — but everyone else was amazingly available." 0 Fan responses to The X-Files returns home tonight!